Whether you have already started a layout plan for your dream home, or want to get insights from the pros first, it’s a good idea to get some guidance from the Housing Industry Association. Their checklist is a good starting point for those people who are looking for the right builders. In this article, you will find some helpful guidelines that will help you hire the right professional builder for your dream home. Start by coordinating with your local Home Builders Association. They can provide you with a list of member builders in good standing and reputation. Aside from this, you can get a wealth of legal information specific to your area of residence. The people around you can be an excellent source of valuable recommendations. You can ask your family, friends, and work associates who have recently dealt with house builders. Find someone around your area who’s recently built their homes. They would surely love to share their thoughts and opinions on the builders who have worked on their homes. If you don’t know anyone yet, try joining some forums online or look for reviews. However, this information is not sufficient enough to cover everything you need to know. If possible, find out how long the prospective home builder has been in business. Companies that have been around for more than five years are likely to be more financially stable than newer firms. Preferably, your builder should have a permanent office where you can quickly reach them for warranty service and other enquiries. Remember, a permanent location is also a sign that your builder has an excellent reputation with local and government institutions. For added security and clarification, you can check if any complaints are filed against the house builder. Your local Home Builder Association is a valuable resource in finding a reputable builder with a sterling reputation. They can assist in verifying if your builder has a high or low rating. If you have already narrowed down your search, talk with the professional house builders and analyse who closely fit your requirements and needs. You can ask about insurance since they should also protect you as their client, in the same way, they protect their workers. Ask the builder about the previous work. A quality home builder will confidently point to references and welcome questions about his past and current experiences. If possible, pay a visit to their recently built houses. Note the quality of the workmanship while you pay attention to how well your home builder communicates. Remember, you’ll be working with them for several months until your home is completed. You need a builder who works professionally with you. Be cautious of low bids as they may indicate builders that take shortcuts with the materials that they are using or lack of insurance coverage. A clearly stated contract protects you as well as the builder from misunderstandings and other complications. Check if the builder offers full warranty. You have the option to get a lawyer if you are unsure about any aspect of the paperwork. Eye for Design. Look for a reputable builder who has an eye for design and artistic vision. The builder should be able to make helpful and substantial suggestions on the actual design of the house. Good Communication. Excellent communication is the key to a good relationship with the builder. You can find some companies that use a cloud-based software that can be extended to all their departments for easy client handling and communication. Builder’s Reputation. You can find out the reputation of a business by just researching on Google or other search engines. From there, you can get customer references that you can use to check the past performances of the home builder. You can decide whether you wish to hire the builder. Commitment to a Good Service. Commitment to service is a founding value. The builder should collaborate with his team to achieve a common goal and understanding of what has to be done. A grounded vision is what pushes a home builder to do his job correctly and with full commitment. Hiring the best home builder for your dream home is a vital decision that you need to consider. Do some research first and verify the builder’s identity through their profile and house building projects. Or better yet, hire an expert builder from HIREtrades to make sure you will only get a reputable and trustworthy home builder for your dream home. 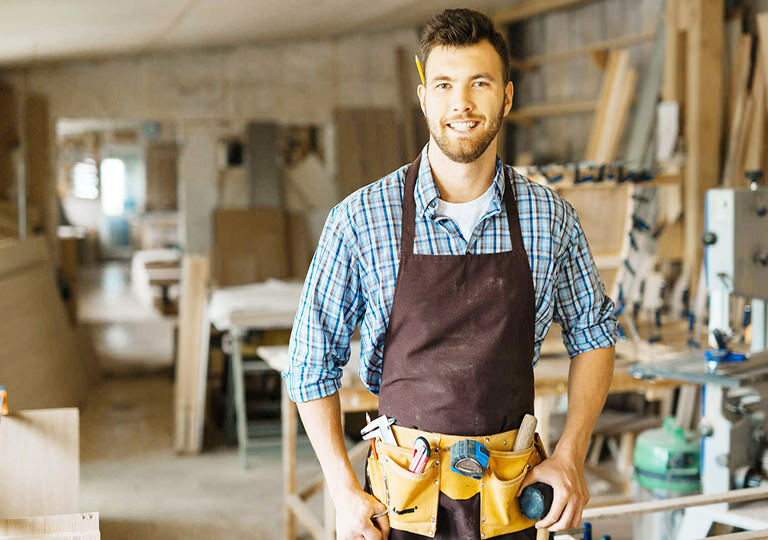 HIREtrades is a one-stop online marketplace for connecting consumers and businesses, covering 200+ trades and serving all states across Australia. Visit our dedicated Builder page or Get A Quote by filling out our quick and easy form.